The short version of this review is that my ten year old daughter absolutely loves Wild Eats and Adorable Treats and I think it’d be a fun addition to any family’s cookbook library. 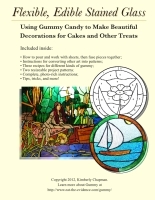 The book is by blogger Jill Mills of Kitchen Fun With My Three Sons. 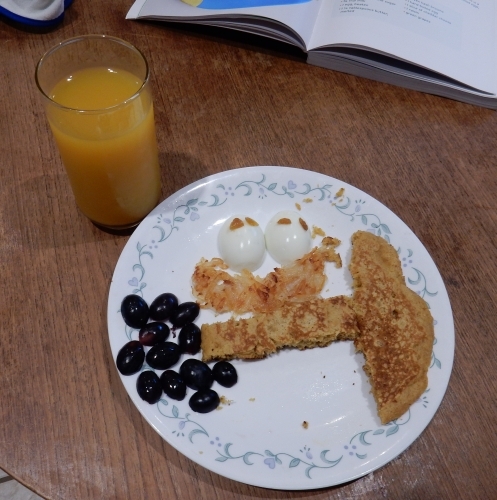 Mills says in the introduction that one of the boys being a fussy eater inspired her to start making food more fun and engaging by creating faces, animals, and getting her son to participate. Indeed, a common tactic to inspire a fussy eater is to get them involved with the preparing of the food; not only does it allow them to see what goes in – and possibly have a say against elements they don’t like – but the very act of preparing food gives one a mental relationship with the food, which can often be enough to get a fussy eater to try something new. I know, because I am a lifelong fussy eater, and much happier to eat something I’ve made myself so I know nobody’s put in something I can’t/won’t eat! The day the book arrived, Peo grabbed it and ran off to the living room to read it while I was still packing up our Austin house for the move to the UK. I told her we’d be making a few things out of the book before we left, but that since I was limited on what ingredients I could buy – as in, I wasn’t going to buy a whole jar of a particular condiment if we were going to end up abandoning it three weeks later – she had to be flexible in which recipes she tried and what ingredients we used. Luckily for me, Peo’s never been a particularly fussy eater. She has preferences but it’s never been too hard to cater to them. And two-year-old Robin eats cardboard, dirt, tissues, snails, and pretty much anything. Peo gleefully read through the book, calling out various recipes with excitement and begging to try pretty much all of them in one way or another. We settled on three, which I’ll review below. Whether you have a fussy eater you want to inspire (or just even feed) or you are looking for fun ways to get the kids involved in some basic cooking, there’s a lot in Wild Eats for all sorts of families. 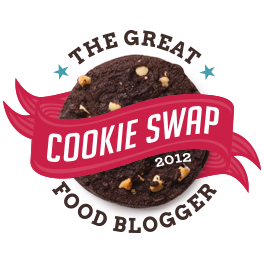 Mills suggests alternatives for some ingredients, but there’s also nothing stopping anyone from using each recipe as a suggestion and then completely reworking it to suit their family’s needs and tastes. It’s clear that Mills wants to inspire precisely that sort of creative freedom for everyone involved, and I like her empowering approach. A lot of kids’ cookbooks emphasize “healthy” ingredients that are either not particularly healthy (ie brown sugar is white sugar with molasses added back in, but too many moms mistake brown sugar as being less processed and thus think it’s “healthy” when it’s actually considerably higher in calories than white sugar) or are, frankly, kind of gross and not what kids want to eat (ie tofu, which is pretty much just proof of evil in the world as far as I’m concerned). While Mills does nod towards healthy possibilities for some of the recipes, she states from the outset that her goal here is to inspire kitchen fun, not enforce dietary rules. I find that very refreshing! Instead of healthwashing or pretending that everything she feeds her kids is 100% nutritious, Mills includes a lot of healthy ingredients alongside the fun, tasty, not-so-healthy stuff. If you can get your kid to try a healthy bit because they made an animal design with it using something else they already love, YOU WIN. 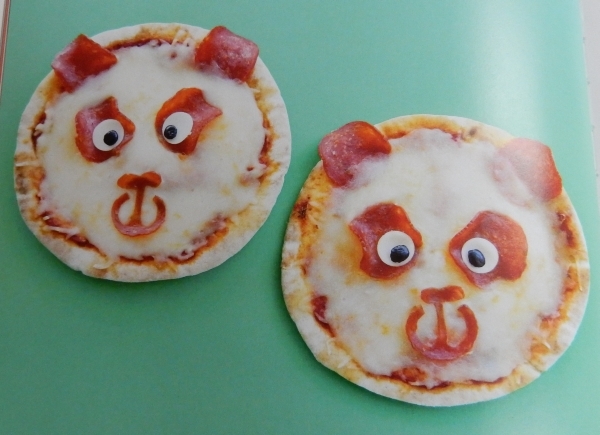 Panda Pita Pizza from Wild Eats and Adorable Treats, reprinted with permission from Skyhorse Publishing. Preheat the oven to 350 degrees F [180°C]. Place the pitas on a baking sheet. Spread 1/2 cup of pizza sauce on each pita. Place two pepperoni slices on the top sides for ears. Sprinkle 1/2 cup of shredded mozzarella cheese on each pita, covering the edge of the pepperoni that is touching the sauce. Place two pepperoni slices on top of the shredded cheese for the eyes. 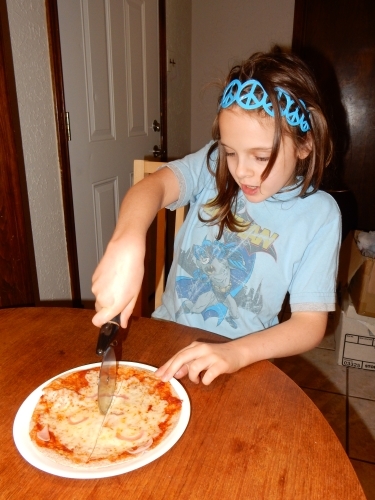 Using kitchen scissors, cut out another pepperoni slice into a nose and mouth. Place the pitas in the oven for 10 to 15 minutes, until the cheese is melted. Cut out two small circles from the slice of provolone cheese and place them on top of the pepperoni eyes. 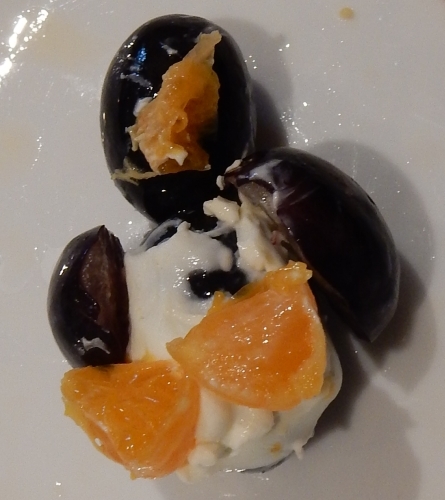 Using a knife, cut out two very small dots from the black olive and place them on the cheese eyes to look like pupils. Place the pitas on a plate and serve. We changed almost all of the ingredients for this one! I meant to buy whole wheat pitas at Trader Joe’s but accidentally grabbed whole wheat tortillas instead. Whoops. The only package of pepperoni we could find was huge and we wouldn’t get through it before we had to leave the US, so I suggested she could cut slices of ham into whatever shapes she wanted and she liked that idea. She doesn’t like olives so we skipped that part and we didn’t have any provolone so we just went with mozzarella. 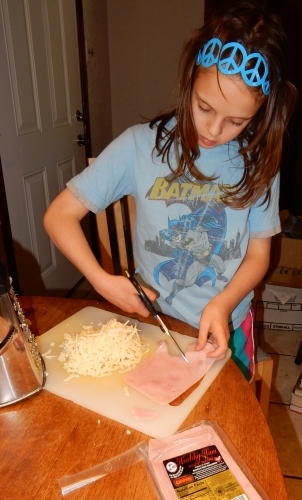 Peo cutting face shapes out of the ham using kitchen scissors. 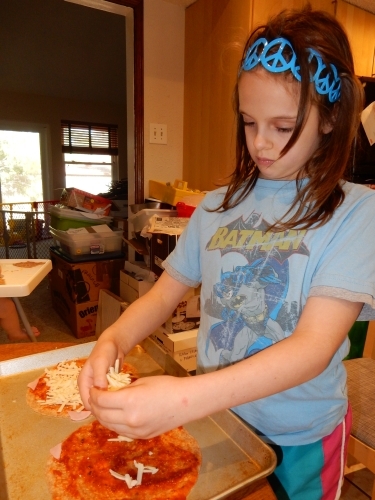 Adding cheese to the pizzas. Fairly early on she decided she didn’t want to do panda faces, so I told her to go ahead and make whatever faces she wanted. She had a whole backstory for each of these characters. I don’t remember what it is, since again, I was packing an entire household at the same time as getting her to cook this lunch. Plus there was a lot of shrieking from Robin. Peo’s pizza characters before baking. Very anime-looking. 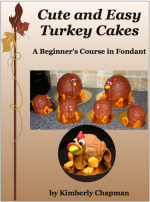 She was super-excited when they came out of the oven and had to be reminded to wait a moment! 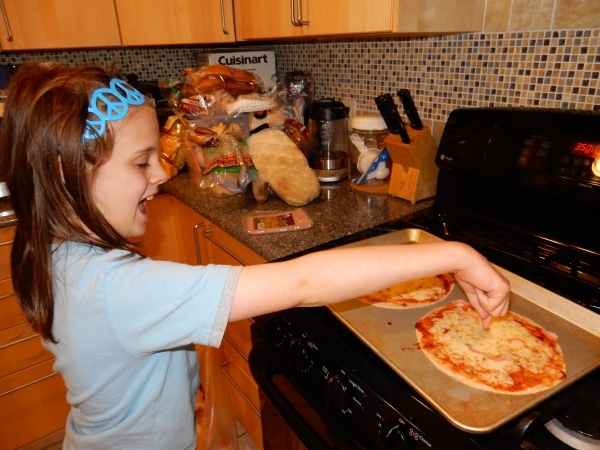 Peo pointing out the facial features on her pizza. 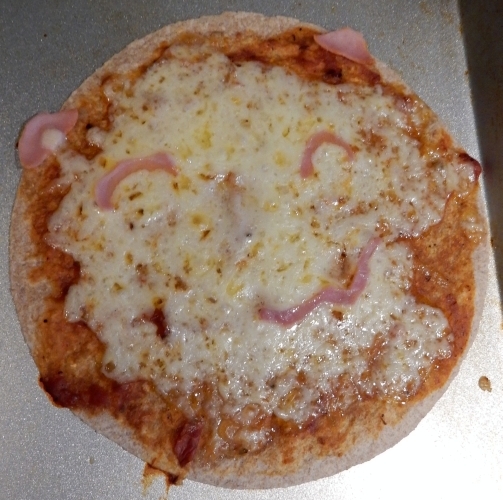 A pizza face, after cooking. Then I let her cut them with the wheel herself, which she seemed to think was a great treat. She approached the cutting with a slightly disturbing amount of glee. Peo declared her pizza faces to be very tasty. On another day we made more, one of which she shaped into a sort of puppy, and one of which was just random. 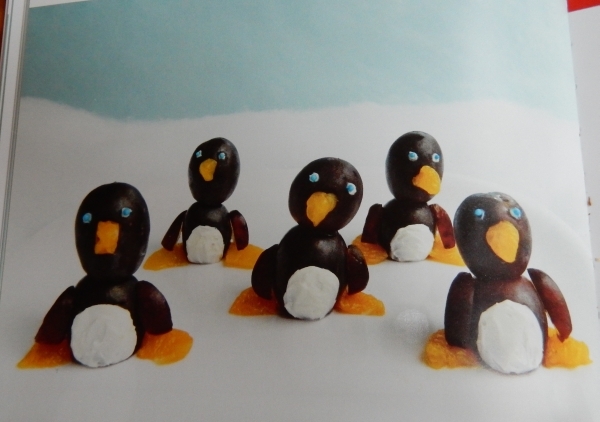 Penguin Fruit Snacks from Wild Eats and Adorable Treats, reprinted with permission from Skyhorse Publishing. 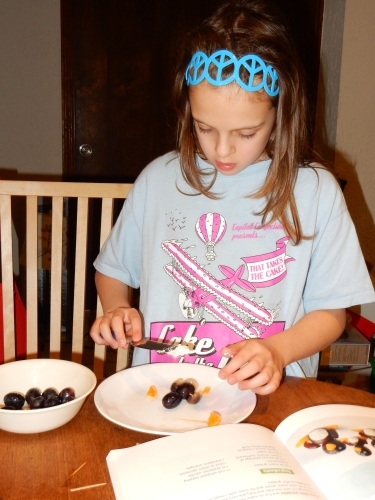 Place 2 black grapes on a toothpick and stand them up on a plate. If the grapes are not standing up, you can cut off a thin slice from the bottom to prevent them from rolling. Combine the softened cream cheese, sugar, Marshmallow Fluff, whipped topping, and vanilla in a small bowl. Mix well using an electric mixer. 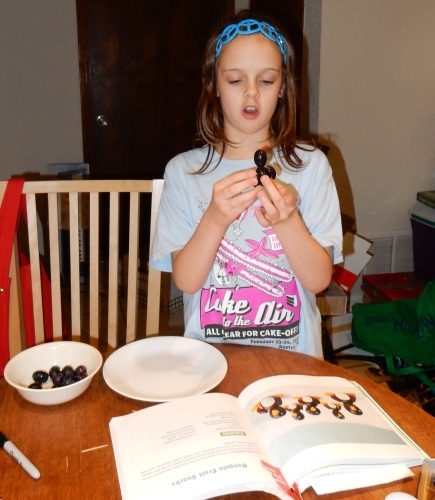 Spoon the fruit dip on the top grape for the eyes and add the blue sprinkles for the pupils. Squeeze more dip on the front of the bottom grape for the belly. Smooth out the dip with a knife. Cut the mandarin orange slices in half and place two on the bottom for feet. Cut the tips off the mandarin orange slices and press the tips on the face under the eyes for the beak. Cut thin slices from the grapes to make wings. You can attach the wings and orange beak with a little bit of the dip using a toothpick. For this one, I wasn’t keen on Marshmallow Fluff being in the house at all and certainly wasn’t going to buy any just before we left the country. I also wasn’t keen on adding sugar to a “fruit dip”. I asked Peo if she’d like to try it with just the cream cheese and she said she preferred that as well. I’d already packed all of my sprinkles already so we also did without those. Spreading the cream cheese on the bellies. Peo’s result. She couldn’t make her penguins stand up and stay intact but said she was okay with that. Despite some frustrations with toothpicks, Peo had a good time making the penguins and is keen to do it again soon. 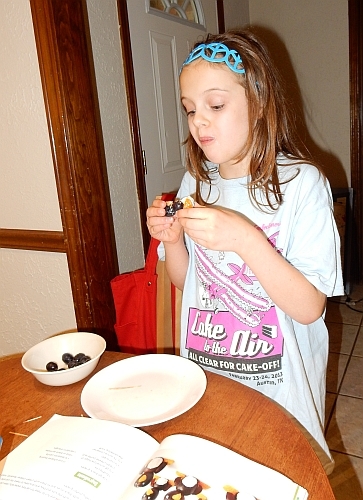 Also, she declared that cream cheese on grapes is delicious. Birdy Breakfast from Wild Eats and Adorable Treats, reprinted with permission from Skyhorse Publishing. Lightly spray a large pan with cooking spray. Pour the pancake batter in the pan over low heat in the shape of a tree with one large branch. Lightly brown on both sides and place the pancake on a plate. Scoop out a handful of frozen has browns and fry them in a pan according to the package directions. Place the cooked hash browns on top of the branch to look like a nest. Cut the hard-boiled egg in half and place the 2 halves on top of the hash browns. 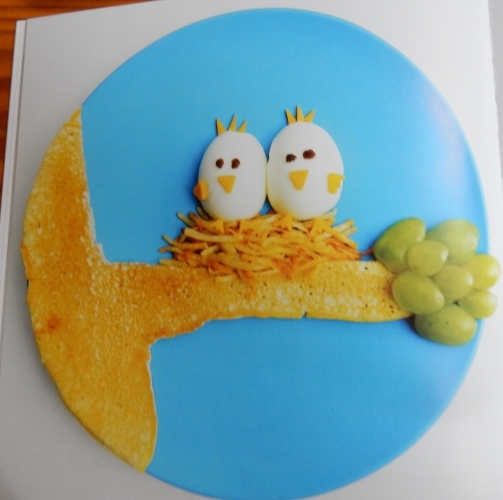 Cut out little wings, hair, and a beak from the slice of cheddar cheese and place them on top of the eggs. Cut pieces of a raisin to make the eyes. Cut green grapes in half using kitchen scissors. Place the grape halves on the end of the branch to look like leaves. Our major change to this was to use a boxed pancake recipe, because while most of the time our pancakes are my own super-healthy recipe, while we were in the US we were pigging out on Trader Joe’s Pumpkin Pancakes. Also, for ease I just made a big round pancake and had Peo cut it to shape the branch piece. A pretty easy and fun breakfast if you’ve already got hard-boiled eggs in the fridge. 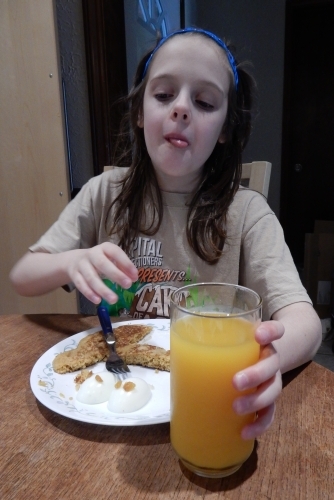 She really enjoyed making it and said she loved eating it too. 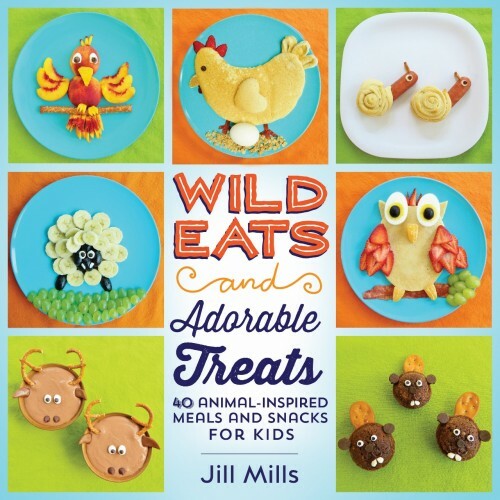 In conclusion, Wild Eats and Adorable Treats is a great resource for parents who want to engage kids in the kitchen. 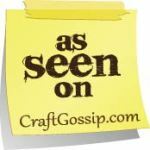 It’s fun, flexible, empowering, and engaging. Don’t get it as a cookbook for your shelf, get it for your kids to actually sit down and read as little foodie inspiration. There are even bonus animal fact pages sure to keep your kids delighted as they read through. It’s the kind of book you can hand them and pretend it’s a gift for them, when really if it helps them eat more variety, it’s a sneaky gift for yourself. 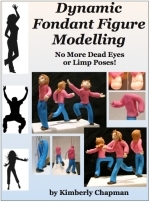 This entry was posted in Book Reviews, Breakfast, Lunch, Other Food, Products, Working With Kids. Bookmark the permalink.